Lets face it, over the years nothing holds up completely. No matter the time and effort put into your walls at some point they may get damaged, get wet, or even catch on fire. ​We understand that these things happen and strive to work with you to get your walls and ceilings looking brand new again as soon as possible. From simple repairs to longer more extensive fixes we can take care of you professionally. Most people hang pictures, TVs, art, and many more things on almost every wall in the house. These small holes add up and if not filled can lead to greater structural problems if not properly filled and taken care of. We know how to use dry-walling putty and properly smooth the wall out, bringing it to its former glory. Greater damage can occur to walls and ceilings, maybe a pipe burst or the kids were playing inside. 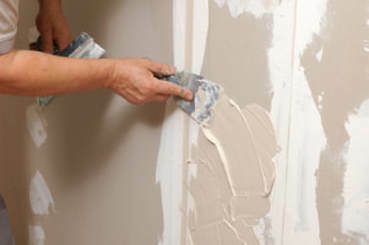 These things inevitably happen, and your home will need quality drywall repair over the years. 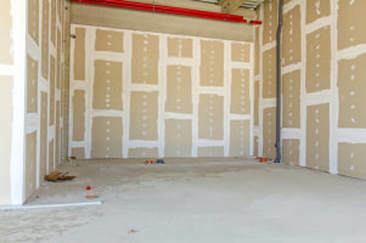 Whether we need to re tape the joints of the wallboard or re-skim the entire wall, we can handle your individual needs. 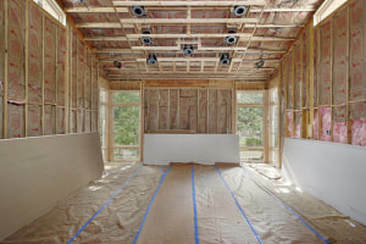 We can handle entire wall restoration, and we can handle fixing that hole in your ceiling. ​We only use quality materials and specialized dry-walling tools in order to completely fix your home to your satisfaction. You don't need to take this on yourself, let the drywall professionals take care of it for you. We have the equipment, we have the skill set required. The only thing we need is your business!